2015 Hudson Guest House, LLC. Take a trip through Hudson’s past, while you enjoy modern comforts all around. 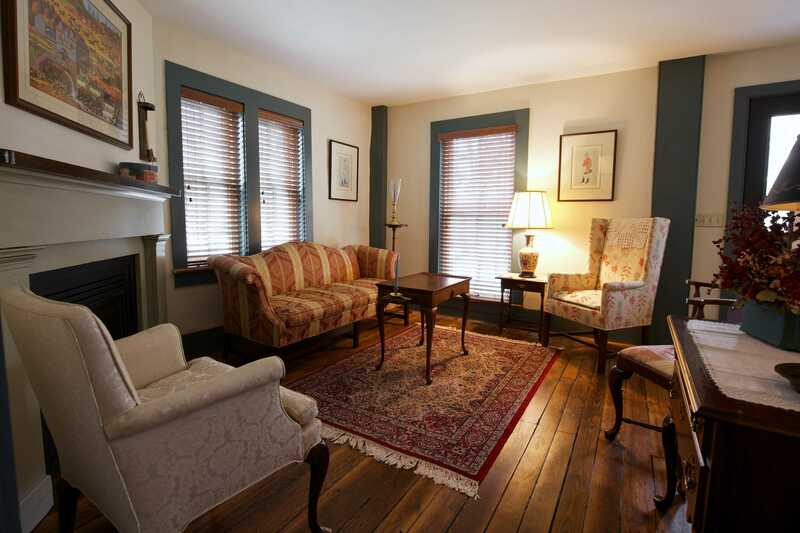 Hudson Guest House mixes early Western Reserve style architecture with modern conveniences. 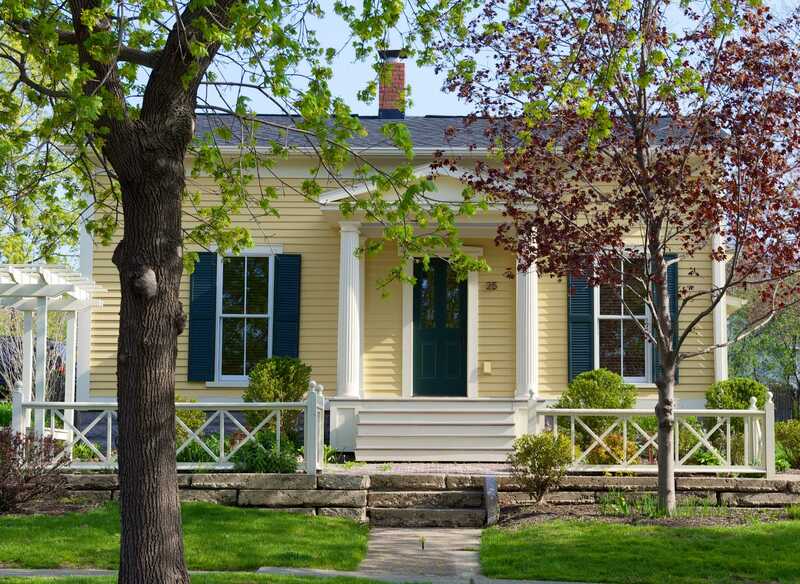 The house was built in the 1830s as one of two matching wings to the funeral home on the Green. It was moved to its current location in the 1870s and enlarged. Although there are theories about the location of the matching wing, no one knows exactly where it is located. This Greek Revival-style home was painstakingly restored with historically accurate details, like original floors, door hardware – and most noticeably the original handcrafted beams in the kitchen. The front courtyard walls outside the house were done with materials found exclusively on the property. Located just off the square, Hudson Guest House puts you close to dining, nightlife, shopping and much more. 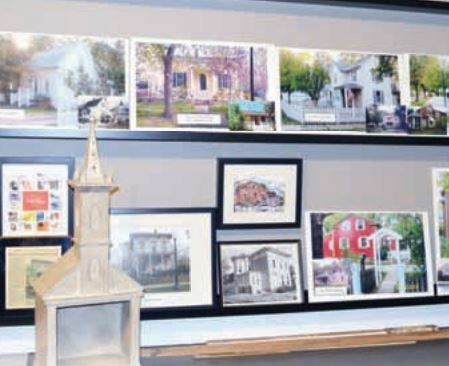 Throughout the summer you’ll find activities like Sunday night concerts on the Green or Saturday night at First and Main green, walking tours of the historic district from the nearby Visitor Center, a quick trip to Blossom Music Center, and outdoor activities like biking, hiking the trails along the Ohio Canal path in the nearby Cuyahoga Valley National Park. 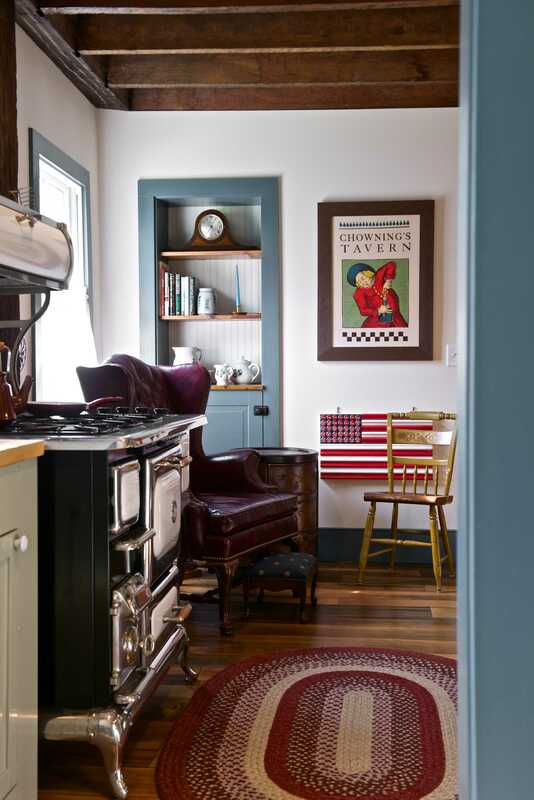 The heart and soul of any home, the kitchen with the exposed beam ceiling features a classic, 1800’s replica style Heartland Stove as its centerpiece. Modern amenities like a full-size refrigerator, microwave, toaster, and coffee maker are tucked away behind a sliding door to the walk in pantry making it easy to keep one foot in the past and one in the present. 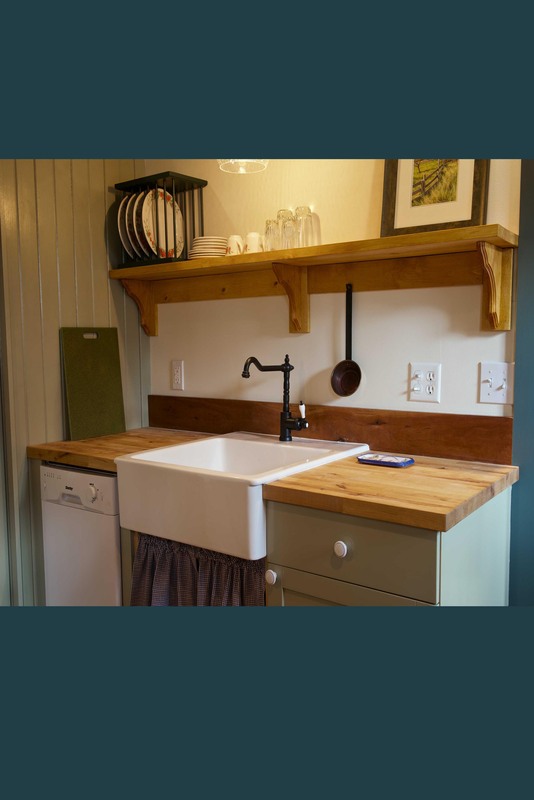 Located off the kitchen, provides a washer, dryer, ironing board and iron, utility sink, and a charging area for electronics. 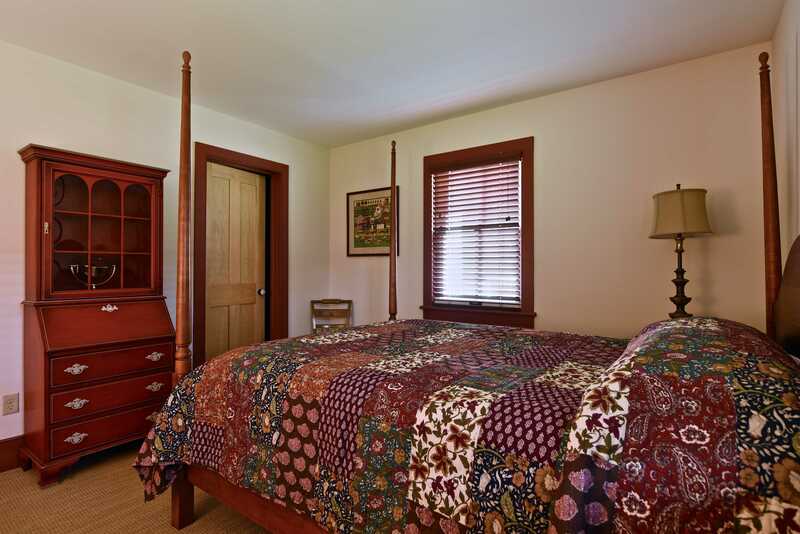 Located off the Keeping room, this suite features a four-poster bed and pillow top mattress, an old style secretary desk for reading, work, or makeup. 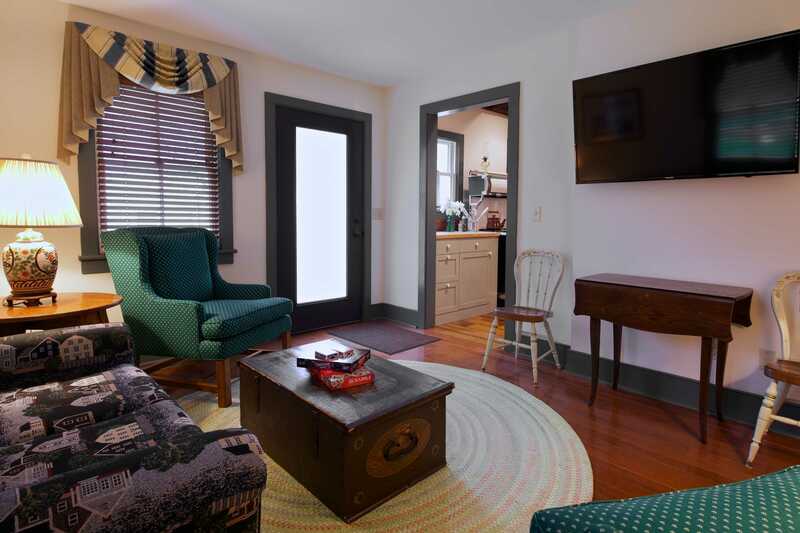 A comfortable lounge chair for reading and a large walk-in closet for your clothes and luggage complete the room. 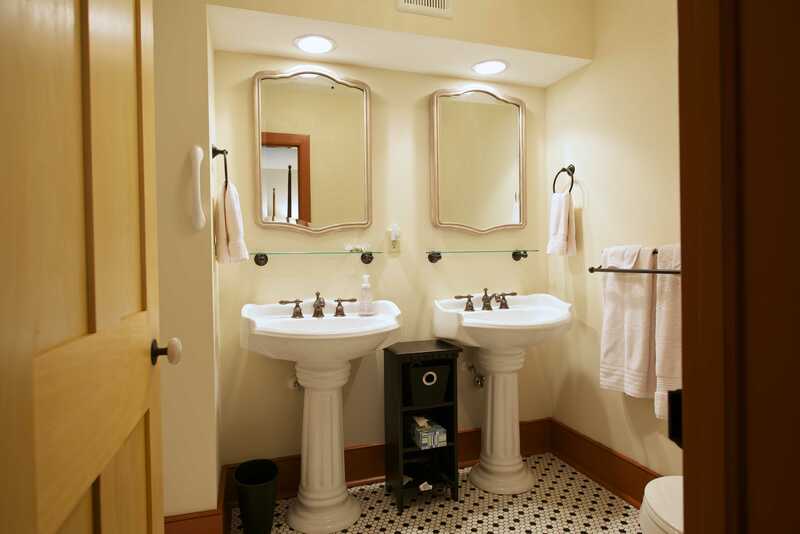 The private full bath offers a shower and tub combination and two pedestal sinks, ceramic tile floors, and is also stocked with plenty of linens, a hair dryer, and a magnifying makeup mirror. 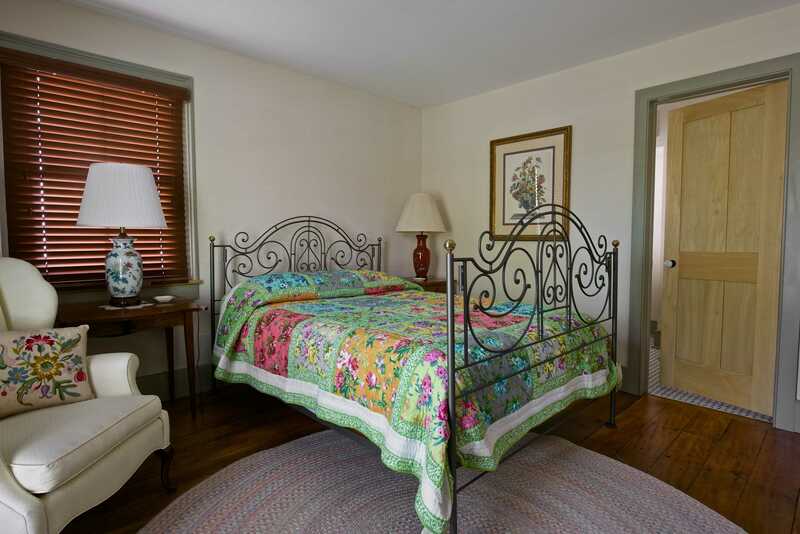 Located off the parlor, this suite offers a queen-size, iron bed and pillow top mattress. A large closet with original hardware gives you plenty of space to hang clothes and store luggage, and a wingback chair offers a quiet reading spot. The private full bath features a luxurious walk-in shower, ceramic tile floor, and is stocked with plenty of linens. 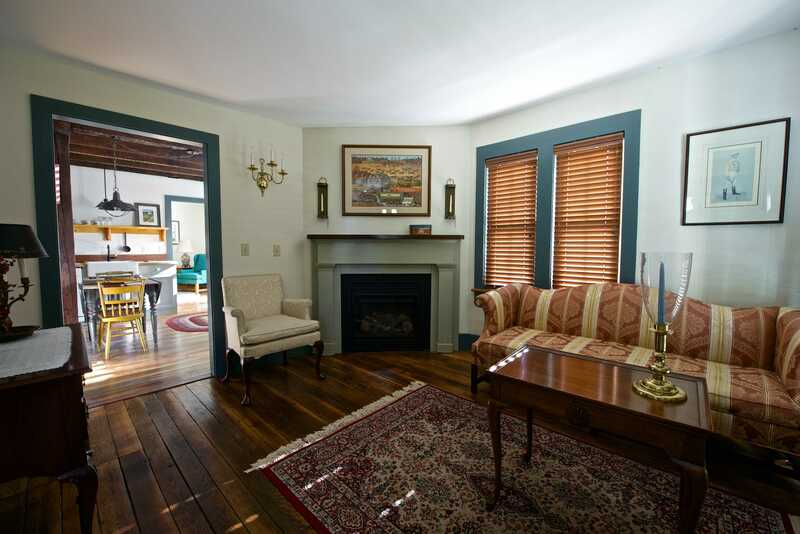 Original hardwood floors, inviting décor, and fireplace with antique mantel all welcome you into the parlor and takes you back to years gone by. You’ll feel equally at home in the dead of winter or on a warm summer night, thanks to the new high-efficiency heating and air conditioning. Whether you want to tune in or tune out, the discretely located TV room is the perfect place to go when you want to unwind. With a 50-inch Smart TV and complimentary WiFi throughout the house, you can be as connected as you want throughout your stay. Minimum two-night stay recommended, if only one-night stay rate will be $209.00/night. No Smoking on the property or in the house. No burning candles in the house. Advance reservations requested; deposit of one night’s stay is required at time of reservation. Cancellations may be made up to 72 hours in advance with a service charge for credit card. There will be no refunds given for cancellations for the following holidays: Easter, Mother’s Day, Memorial Day, Father’s Day, Fourth of July, Labor Day, Thangsgiving, Christmas, New Year’s Eve, New Year’s Day. All keys must be returned upon departure. Any lost or non-returned keys will result in a $50.00 per key fine. An additional cleaning charge will be assessed for excessive “over the top” messes i.e. rice, bird seed, rose petals, etc. All reservations book the entire house – you can not book only one bedroom. If you move furnishings around in the house during your stay, please put them back. Please call or e-mail for availability and booking. We are currently in the process of updating our online reservation system. 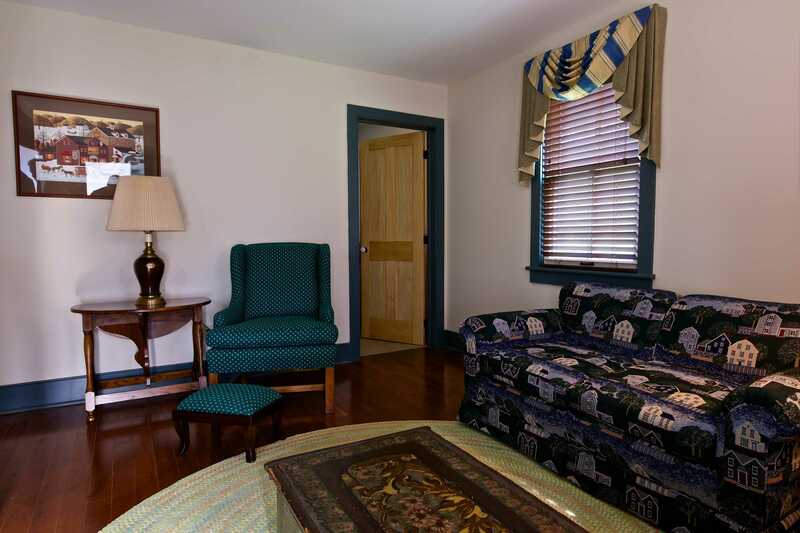 The Hudson Guest House is so thoughtfully done, with attention to details evident in each room. My sisters-in-law loved staying there and now we have a charming new place to house my out of towners. Thank you for a wonderful accommodation! The most charming place we have ever stayed! Love the decor and accommodations provided. So convenient to all events. Beautiful! What a lovely place! We were here for Thanksgiving with our brother’s family and we had all the comforts of home! Great Remodel! Here for a baby shower. Great location to town. Thank you for allowing us to stay in this lovely home. We were here for a wedding and this was the perfect accommodation. We enjoyed our stay! Beautiful place, great location. Absolutely charming! Kudos to the renovators. Had a great visit with family in town – they were impressed also. Can’t wait until our next visit. What a gem! Couldn’t be more perfect. Awesome use of living space. Walk anywhere. Had our kids, they had friends. We slept in the front room, they entertained in the TV room, and we never heard a word. Can’t wait to return! The house is very spacious and nicely decorated. It has a nice little courtyard which is perfect on warm days. It is very clean and within walking distance to several nice restaurants. 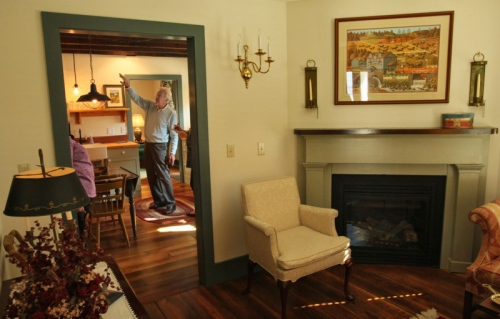 I rent the Hudson Guest House when I am in the area for business. It has high speed WIFI allowing me to connect to the internet and easily conduct my business. The two bathroom – two bedroom space has all the amenities to include washer/dryer, ironing board, oven, coffee pot, dishwasher and more. The rates are comparable to nearby hotels. I particularly like staying there when I am working on difficult projects as it allows me the quiet space and the environment I need to concentrate on the task at hand. Tracy and staff are incredibly accommodating. For business travelers out there, I highly recommend The Hudson Guest House as a great alternative to the “typical” hotel experience. 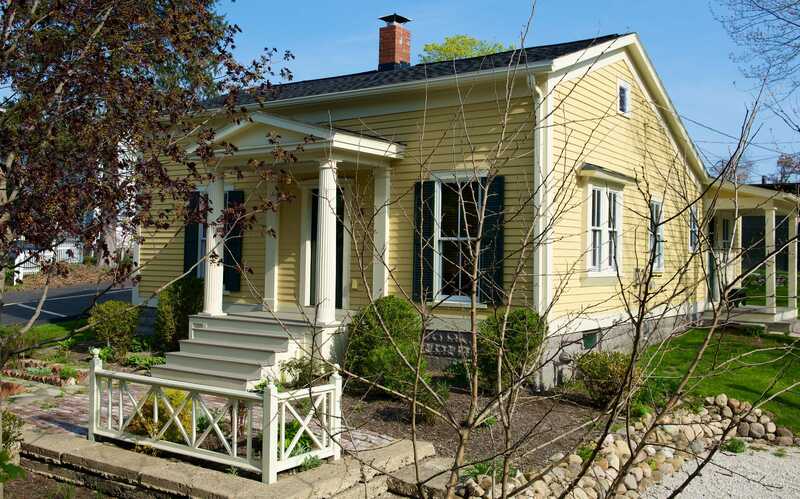 The beautiful yellow house was so authentic and original to the time period in beautiful Hudson, Ohio. The house was so very clean and thoughtfully furnished and air conditioned. Everything we needed for our comfort and meal preparation was provided. The bathrooms were so very modern. The design and décor was very well done. The location was so very convenient to stores and restaurants in Hudson. We stayed a week and wished we could have stayed longer. 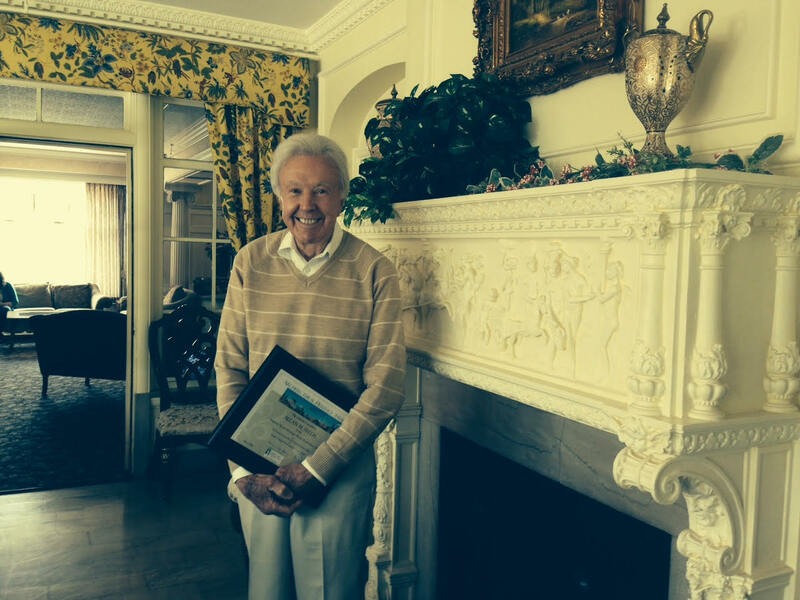 Hudson Guest House received the 2016 Architectural Heritage Award presented by The Summit County Historical Society of Akron in conjunction with Progress Through Preservation of Greater Akron.